Mortgages are a minefield for the unprepared. Use this mortgage guide to get yourself the best mortgage deal. Require repayment on time, each month. See the Citizens advice bureau to avoid having financial problems from taking out a mortgage. Because mortgage requirements depend a lot on your requirements and circumstances we have separated our best mortgage deals. Repayment mortgage of £170,000 with 300 monthly repayments. At end of initial period mortgage reverts to Standard Variable Rate (currently 4.49%, costing £894.44 p/m) for 216 months. Total amount payable £258,353: Interest (£86,903); Application fee (£999); Valuation fee (£200); Legal fee (£117); Funds transfer fee (£8); Mortgage discharge fee (£125); Fees are assumed to be paid up front and not included in the amount borrowed. Costs based on assumed completion date of 30/09/2018. Repayment mortgage of £170,000 with 300 monthly repayments. At end of initial period mortgage reverts to Standard Variable Rate (currently 2.99%, costing £801.12 p/m) for 264 months. Total amount payable £239,535: Interest (£69,104); Valuation fee (£190); Legal fee (£126); Funds transfer fee (£35); Mortgage discharge fee (£80); Fees are assumed to be paid up front and not included in the amount borrowed. Costs based on assumed completion date of 31/07/2018. Repayment mortgage of £160,000 with 300 monthly repayments. At end of initial period mortgage reverts to Standard Variable Rate (currently 3.99%, costing £830.17 p/m) for 276 months. Total amount payable £246,456: Interest (£85,197); Application fee (£999); Legal fee (£175); Funds transfer fee (£20); Mortgage discharge fee (£65); Fees are assumed to be paid up front and not included in the amount borrowed. Costs based on assumed completion date of 31/09/2018. Repayment mortgage of £250,000 with 240 monthly repayments. At end of initial period mortgage reverts to Standard Variable Rate (currently 4.49%, costing £1,484.30 p/m) for 156 months. Total amount payable £342,243: Interest (£90,694); Application fee (£999); Valuation fee (£300); Legal fee (£117); Funds transfer fee (£8); Mortgage discharge fee (£125); Fees are assumed to be paid up front and not included in the amount borrowed. Costs based on assumed completion date of 30/06/2018. Repayment mortgage of £250,000 with 240 monthly repayments. At end of initial period mortgage reverts to Standard Variable Rate (currently 2.99%, costing £1,377.68 p/m) for 204 months. Total amount payable £329,459: Interest (£78,958); Valuation fee (£260); Legal fee (£126); Funds transfer fee (£35); Mortgage discharge fee (£80); Fees are assumed to be paid up front and not included in the amount borrowed. Costs based on assumed completion date of 31/07/2018. Repayment mortgage of £250,000 with 240 monthly repayments. At end of initial period mortgage reverts to Standard Variable Rate (currently 3.94%, costing £1,474.10 p/m) for 216 months. Total amount payable £348,006: Interest (£96,782); Booking fee (£99); Application fee (£800); Legal fee (£295); Funds transfer fee (£30); Fees are assumed to be paid up front and not included in the amount borrowed. Costs based on assumed completion date of 31/05/2018. Mortgage rates are basically the interest rate charged on a mortgage loan. Normally this is decided by the lender in the majority of cases, and can be a variable rate which fluctuates with the Bank of England base rate, a variable rate that is set by the lender on their own basis or a fixed rate which will remain the same for the term of the mortgage. 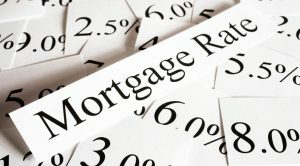 In order to compare mortgage rates you really need to understand the different sorts of mortgage and how they operate. There are essentially two different types of mortgages; a variable rate and a fixed rate mortgage. Variable rate mortgages follow the SVR of the lending bank that is providing the mortgage. The SVR is usually tied into the BOE (Bank of England) base rate and the rates that other competitor banks are charging. SVR stands for Standard Variable Rate. An example of this would be if the SVR was 1%, a variable rate mortgage deal might track this rate at 2% above, giving an overall all payable rate of 3%. If the SVR were to rise to 1.5% your mortgage rate would actually rise to 3.5%. An SVR can change at any time, regardless of the BOE base rate, economy of competitor’s banks activities. This means that it is at the lending banks discretion when and how much they change their SVR. If you wanted to exit your variable rate mortgage deal early, it is likely that you would have to pay an ERC (early repayment charge) which is why getting the correct mortgage term length is so important. A tracker mortgage tracks the bank of England rate at a fixed percentage. This means that the rates you will pay on your mortgage loan will reflect any changes in the Bank of England base rate. So a tracker mortgage may be 2% above BOE base rate for X term, so if the BOE base rate increases by 2 %, your tracker mortgage rate will also increase by the same. Fixed rate mortgages are usually from two to ten year terms, and by being fixed rate you will know exactly what your payment is for the entire mortgage term. This can work as a plus or minus point, for example if BOE rates were to fall to an all time low, you will be paying significantly more than someone on a variable rate mortgage, but if BOE rates saw a big rise, you will be saving money because your mortgage rate will remain the same. there is another type of variable mortgage which is known as the discount mortgage. Instead of being linked to the BOE base rate, the discount mortgage is linked to the money lenders standard variable rate. As an example of this if the lender’s SVR is 4% and has a discount of 1%, the actual mortgage rate that you would pay on its 3%. However, if their standard variable rate then rose to 6% you would then be paying a 5% rate of interest. One of the main issues with discount mortgages is that the standard variable rate alterations are made at the discretion of the moneylender, so in reality the amount you pay on your mortgage could alter even if the Bank of England base rate has remained the same. Likewise if the Bank of England base rate were to fall, this does not mean that your discount mortgage rate would also fall because again, it is at the lender’s discretion. Several large lenders have raised their SVRs recently even when no change has occurred to the Bank of England base rate. With fixed rate mortgages it is likely that you would have to pay a penalty if you wanted to exit your mortgage deal before its term was up. This would apply for example if you had a three-year variable rate mortgage and you want to leave in year two, there would usually be a penalty fee to apply. The exception to this rule would be a term mortgage or a lifetime tracker as the vast majority of these are penalty free. The majority of mortgage deals have an arrangement fee which vary from several hundred pounds up to several thousand pounds or more, depending on the amount of money being borrowed. 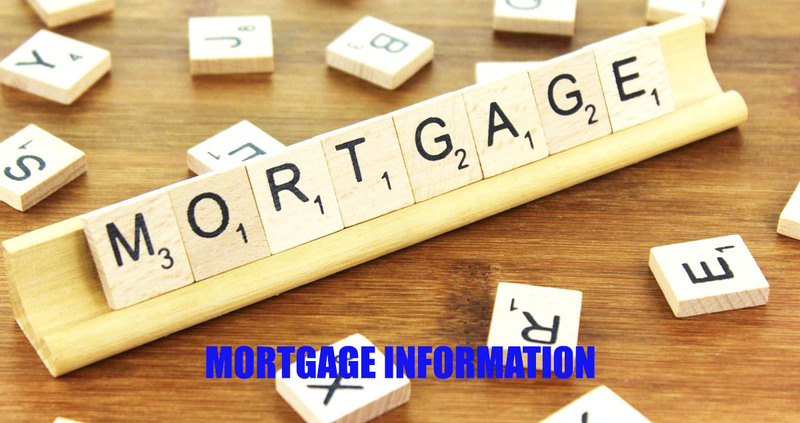 Some mortgages actually include an administration fee which is additional to the mortgage setup fee or arrangement fee, this is a one-time payment justified as being needed to set up your mortgage in the first place by the lender. 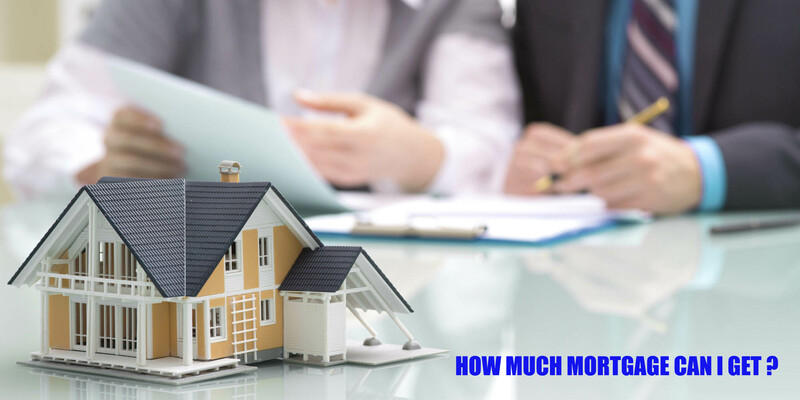 The other type of fee payable on some mortgages is known as an arrangement fee and this is paid on the completion of the mortgage financing which means you wouldn’t have to pay it for example if you didn’t end up taking the mortgage, for example, if the house had sold to another party or the deal had fallen through for another reason. You must remember to take account of mortgage fees when you assess and compare the deals, this guide offers different possible options of mortgages and you need to check fees for any deal you may take out. Very often the best mortgage rate that you can get will depend entirely on the amount of money you are looking to borrow. 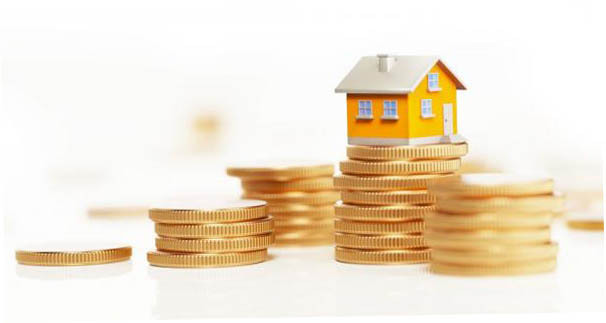 If you are applying for a large mortgage amount then very often a larger fee is worth paying so that you can secure a lower interest rate on the borrowed amount. But again, you need to do your maths and look at the numbers to see which deal works best for you. Many people decide to take a mortgage on a 25-year term when they take the first mortgage out with the lender. It is possible though to go for a shorter or longer period of time depending on the amount of time you believe it will take you to pay off the mortgage. As with any other type of loan if you go for a longer term to pay the loan over your repayments will be less however it will take more time free to actually pay off the mortgage. Conversely, with a shorter mortgage term your payment will be larger but the overall amount of interest paid will be less as will the overall amount of money borrowed. Because of the fact that the vast majority of mortgages will have an early repayment charge during the term of the deal it is very important for you to work out how long you want to take a mortgage out over. An example of this would be if you think you may look to move house in the next few years and do not want to be tied to the same mortgage lender, you may consider a shorter deal term mortgage. Another thing to consider is the current state of the U.K.’s economy, Bank of England base rate and any fluctuations in predictions, and how much security you want about the amount you will be paying on your mortgage. An early repayment charge can amount to thousands and thousands of pounds so this really is an important area to prepare properly for. A lot of current mortgage deals are portable meaning that you can actually take your existing mortgage with you if you decide to move house but it is unlikely that you will be able to obtain the same mortgage deal on a new house because of the fact you will be looking at the current mortgage deals that are on offer from your bank. For this reason, it is a good idea to move when out of the deal because you are left with the full market of mortgages to compare to find the best rate and find the most suitable mortgage for your property purchase. It is possible to take a mortgage out on an interest only basis or a repayment basis. With the more commonly used repayment mortgage the amounts that you pay each month are worked out so that you are paying off part of the capital sum in addition to some interest and at the end of the mortgages term you will have repaid the entire amount lent to you. For interest only mortgages however, the monthly payment is only paying the interest on the loan so at the end of the mortgage term you will still have the original loan amount repayable. The idea of this kind of mortgage is that you will prepare and have a plan to make the lump sum repayment in place at the end of the mortgage term. For example, you would invest the saved money in ISA’s or other safe stock market investments so that you would have accumulated a lump sum that you will then use to repay the mortgage balance when your deal comes to an end. However due to problems in the past with many people ending up in negative equity and not having the money available to pay for the remaining sum on the mortgage after an interest only deals term was ended, it is much harder to get this sort of mortgage due to many people living on a day-to-day basis and not actually creating a proper repayment plan for the lump sum. This means that for the vast majority of people and circumstances, the repayment mortgage is by far a safer mortgage type. This best loans guide has compared several of the top mortgage deals for various different types of mortgage borrowing. When you are thinking of getting a mortgage this is likely to be one of the biggest and longest financial commitments that you will ever make. 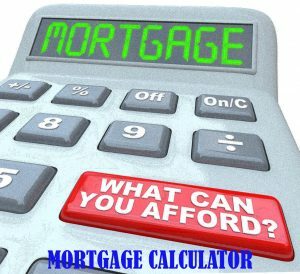 You can use our handy mortgage calculator link below to find out what mortgage you can afford. When you are looking to purchase a new property there are two very important considerations. What will be the total cost of my mortgage once the interested is factored in? Hopefully the guide will show that information in more detail. A mortgage is essentially a loan taken out against a property purchase. For a first-time home buyer this would usually require a significant deposit or down payment, and a predetermined mortgage amount making up the property purchase price. A standard mortgage term would be 25 years and it is secured against the houses value to secure the mortgage lender against a fall in property prices or a failure to keep up repayments on the mortgage. Do you own a property already and have equity in it? The deposit amount you have available as down payment against a mortgage. See above. If you are in full time employment, have the required deposit amount , have a good credit rating and payments history, you could well be eligible to get a mortgage. The first thing to do is to ascertain what type of mortgage you want to get. Are you a first time buyer or an existing home owner? (for other types of mortgages check our other guides linked at the top of the page). Once you have found a deal that suits your circumstances and requirements you can follow the application procedure with the credit provider. Your driving license or passport to prove your identity. Self employed individuals will need to provide more onerous proof than employed applicants, this may take the form of more details income/expenditure paperwork. If you own a limited company you may need to provide proof of 3 years accounts and income from a chartered accountant.